The ONLY positive review warented about to Alderbrook RV Park is its LOCATION. Manager Tracey, is unprofessional, unreliable and extemely rude! The owner of this Park is ether unaware or simply uninterested in maintaining the integrity of this property. The Park is very poorly managed. Prior to your stay at Alderbrook RV Park, word of advice, Make VERY certain to get a receipts and keep them handy. Deposits, waitlists, record keeping, reservations, payments and post dated Cheques frequently get â€œlostâ€� and the ownis will be on you to prove all financial transactions or PAY again. 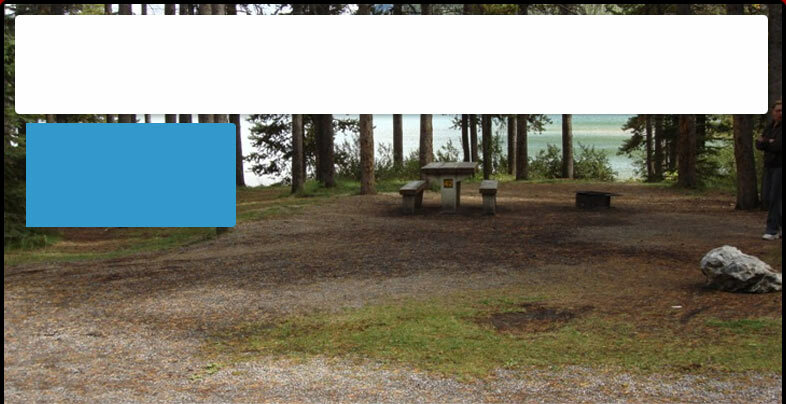 Final note: Expect frequent short notice and significant rent increases at Alderbrook RV Park. Alderbrook rv park is such a quiet park that you can hear anyone talking loud.I remember hearing this LOUD conversation; the oFfice lady was being badgered by these two hot-heads!Shes always been nice to everone,it sure seems like people nowadays are too stressed out to sEe when someones trying to be nice to you anymore. CHRIS, WE TOTALLY AGREE WITH YOU. NOWHERE ON THEIR WEBSITE DOES IT SAY NO DOGS!!! WE HAVE 2 SMALL DOGS AND WERE REFUSED. tHIS PERSON NEEDS TO EITHER TAKE A COURSE IN HOW TO TREAT POTENTIAL CUSTOMERS. sHE WAS SO RUDE WHEN I CALLED, SAYING WHY AM I BOTHERING HER. SHE SAID I WAS RUDE, WELL TRACEY, YOU NEED A COURSE IN CUSTOMER COURTESY. WE RUN MOTELS AND IF I WAS EVER TO TALK TO MY GUESTS LIKE SHE DID TO , CHRIS AND ME, WE, I, WOULD HAVE BEEN FIRED. WE WOULDN'T BE AS WELL LIKED AS WE ARE AND WANTED BY OTHER MOTELS. THIS PLACE IS NOTHING TO WRITE HOME ABOUT, NO DOGS OF ANY KIND, FOR ONE THING, AND A BITCHY PERSON TO DEAL WITH...UNBELIEVABLE!!! I WILL PASS THE WORD ON,DO N0T STAY HERE. EVER!!!! My wife and I went to this park today to look into a monthly site. I had called ahead and spoken to the manager Tracy. From the moment we arrived we felt like Tracey was annoyed that we had made her come out of her trailer. Once I indicated we had spoken on the phone yesterday she said.."OK so what can I do for you" in a very rude tone. I told her she had suggested we come in and she would show us around so that's what we were here for. She asked when we wanted to move in and we replied we were just exploring our options at this point. More rudely now she said she didn't know how she could help us if we didn't tell her when we wanted to move in. She told us to just go look around but make sure we didn't bother anyone if there was someone on a site. My wife asked if she could perhaps give us an idea what sites were actually available so we could look at those. Tracey rudely said "Well if you don't know when you're coming how can I tell you what's available!" I said OK let's assume we were coming in December...could you show us a site? She replied No! I can't book that far ahead! You guys aren't making any sense! I asked you a simple question and you're not telling me when you want to come! At this point I said that her customer service was horrible and we didn't think we would want to stay there. Her reply was... "Good..there's the door...we don't need your business!" My wife and I have never been treated so rudely and disrespectfuly before. As a business owner myself I would definitely want to know if one of my employees ever treated a potential customer so badly.